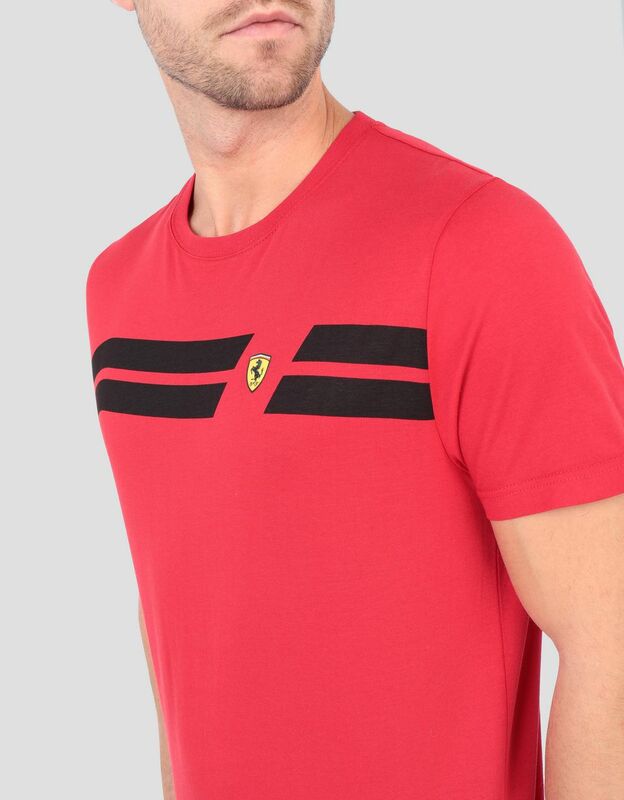 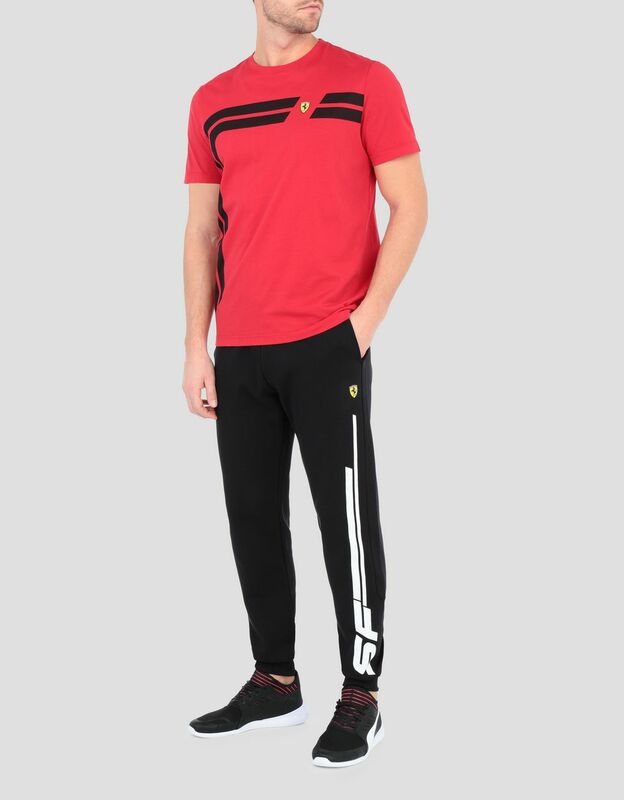 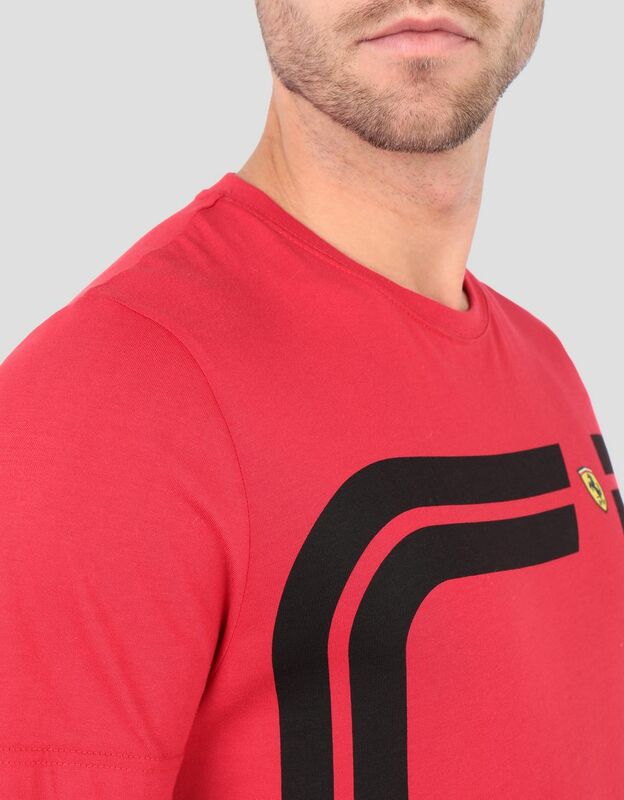 A passion for the world of speed is on display in the new Scuderia Ferrari cotton T-shirt, decorated with the iconic print in the middle. 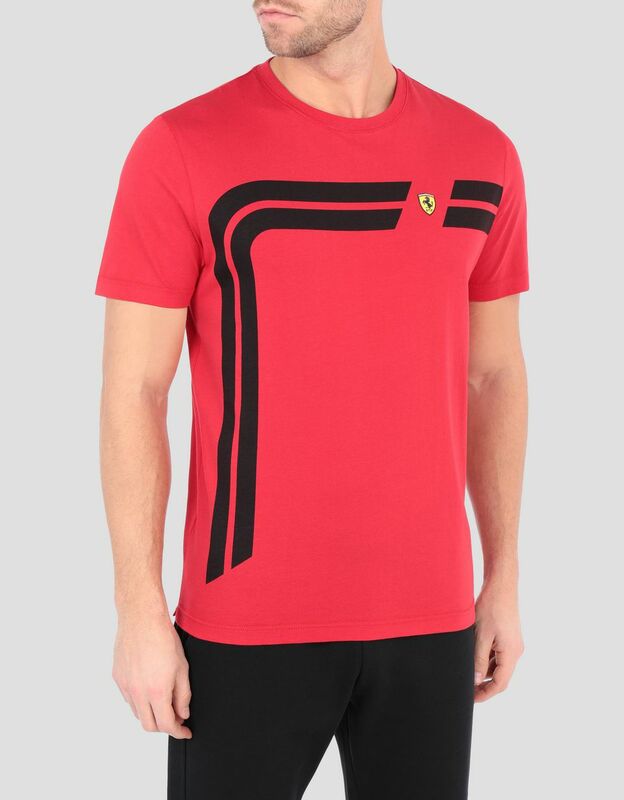 The bold racing print inspired by the racetrack makes the men’s 100% cotton T-shirt dedicated to Ferrari fans unique. 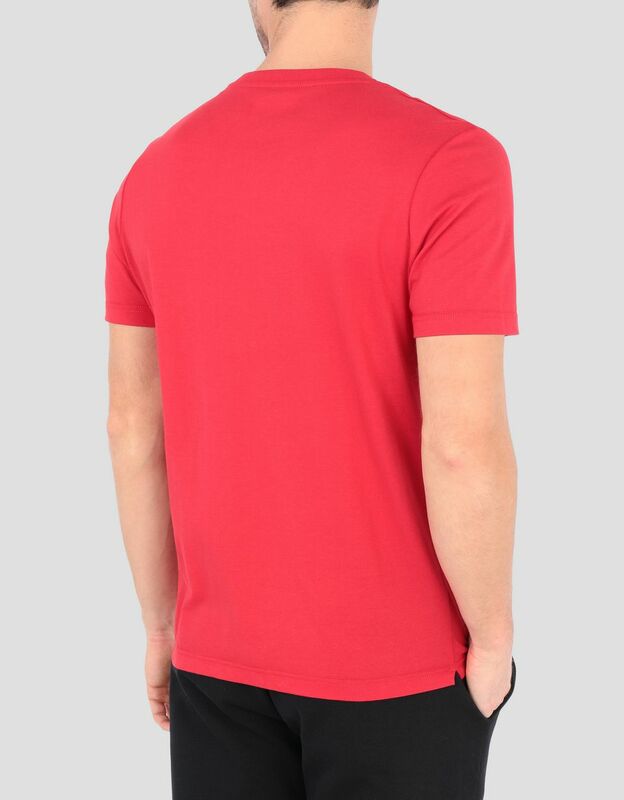 Curated details include the ribbed neckline and small side slits at the base. 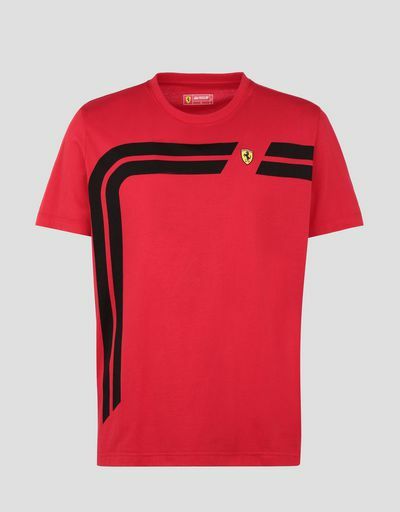 The unmistakable Ferrari Shield in its characteristic colors customizes the iconic top.